The report explores the mental, physical and emotional benefits of playing an instrument. 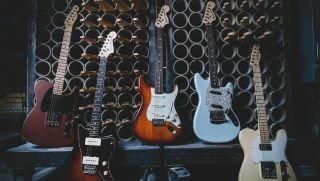 Fender has announceditsnew Deluxe Series of electric guitars, which were designed for seasoned and experienced players. When Queens of the Stone Age guitarist Troy Van Leeuwen found himself in need of a double-neck Jazzmaster, he turned to Fender Custom Shop Master Builder Paul Waller.